Through the Fellowship, Professor of Energy Systems, Professor Keith Pullen, will be able to further develop breakthrough flywheel technology. Professor of Energy Systems, Professor Keith Pullen has been awarded a Royal Academy of Engineering Enterprise Fellowship starting in March 2018. The Fellowship will enable Professor Pullen to devote his attention to Gyrotricity, a new City spinout. 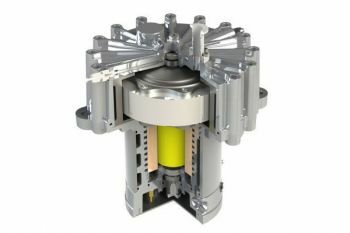 This company has been set up to commercialise breakthrough flywheel energy storage technology which will help keep the national grid's electrical supply stable, allowing greater use of renewable energy technologies. It can also be used to save up to 40% in fuel costs for diesel rail and prevent engines being run in stations.